A reminder that a number of West Oxfordshire District Council’s waste and recycling collections days will change over the Christmas and New Year period, starting from next week. For full information, see the WODC website, but please note that there will be changes over the period between Christmas Day and Saturday 11 January. 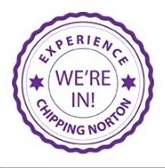 The normal Monday collection date for Chippy on 30 December and 6 January will both be made a day later, on 31 December and 7 January. Normal collections will resume from Monday 13 January. There will also be no garden waste collection between 21 December and 5 January. This entry was posted in local services, news and tagged Bank Holidays, bins, Christmas, collection, garden waste, New Year, recycling, service, waste, West Oxfordshire District Council, WODC. Bookmark the permalink.